Glade Festival, which started as a stage at Glastonbury, brings some of the finest names in electronic music to the UK, making it a festival like no other in this country. The stages range from breakbeat to psytrance, techno to breakcore and everything in between. 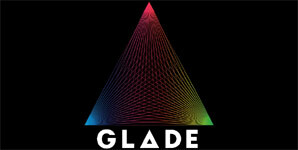 Glade is an unmissable weekend for any self respecting British fan of electronic music. Glade Festival can confirm that they will be allowing festival goers in for free to this year's event if they parachute in, provided they are dressed as Elvis wearing a sound system strapped to their back and hit the ground dancing. There will be a designated landing area for parachutists - details will be released soon.